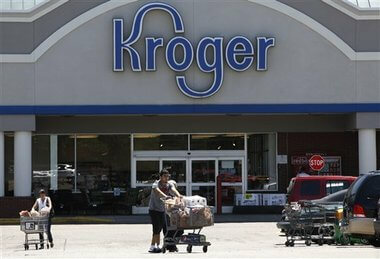 Kroger Co (NYSE:KR) has signed an accord with the small online grocer Ocado to enhance its delivery business. The company will establish robotically operated warehouses to improve cost-effective and operational efficiency and get insulated from the threat posed by the e-commerce giant Amazon.com, Inc. (NASDAQ:AMZN). Following the deal, the shares of Ocado has skyrocketed to reach 80%. Ocado is well known for using the robots for processing and packing the orders. The deal with Ocado is the first in the US for Kroger Co. It is the 4th major accord for the Kroger Co in 6 months. The shares of Kroger Co has surged by 1.4% following the deal. The company has reassured the investors about the guaranteed earnings for the years 2018 and 2019 with the latest initiative. Walmart Inc (NYSE:WMT) and Kroger Co have dominated the grocery industry in the US. However, the $13.7 billion deal of Amazon for the Whole Foods has created ripples in the supermarket chain like Kroger Co. Therefore, Supermarket chains are struggling to match the e-commerce giant with a home delivery push. Rodney McMullen, Chief Executive Officer of Kroger Co said the alliance with Ocado is transformative and it helps the company to deliver whatever the customer orders at any time with speed. At present Kroger Co, which is based in Cincinnati, Ohio, is fulfilling the orders at individual stores and the company handles the delivery in-house. It also seeks the help of Shipt of Target Corporation (NYSE:TGT) and Instacart, the third party providers to deliver the products. The Managing Director of consultancy Strategic Resource Group, Burt Flickinger said the deal of Kroger Co with Ocado is the best investment the company had ever made in the past 25 years. Ocado is a nightmare for the competitors and a dream for the consumers. It really gives a tough fight for Amazon in a home delivery push. The supermarkets in the US are fearing that Amazon will use its distribution know how in the latest Whole Foods Business by turning the existing stores into a cost-effective grocery delivery network. The prime members of Amazon are already benefiting from the free 2 hour delivery from the US stores.